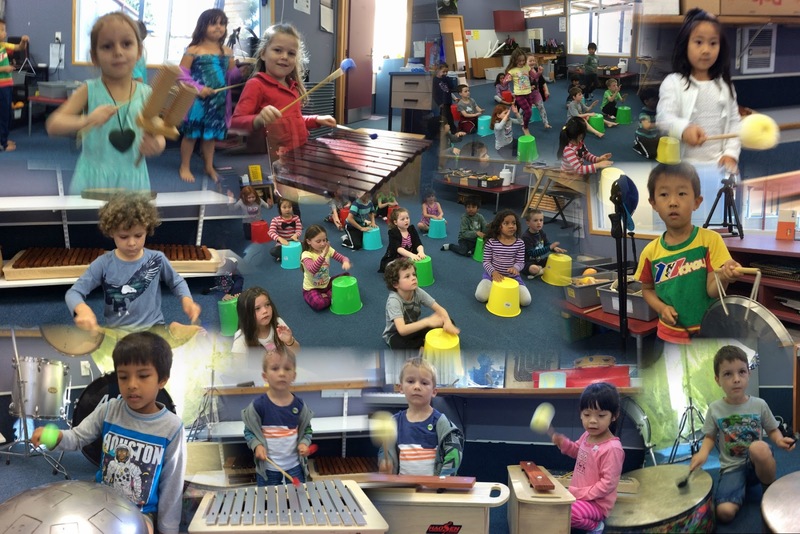 In the first half this term we developed an exciting musical experience using $1.50 buckets from the Warehouse. Isla Noakes came back from a workshop run by Robyn McQueen, ONZA Vice President. We've took the idea from tapping out word rhythms on bucktes to improvising tunes using those rhythms. We started with the names of fruits, vegetables and the children's street names on buckets. The children leapt from row to row of upturned coloured buckets changing the dynamics to suit the pattern being played. The row in waiting danced up and down the rows. It was a hoot. Delightful. Next we transferred those rhythms onto tuned instruments. It was a bit nerve-wracking trusting the children to not harm any instrument in the process. No damage at all! The older classes created interesting ostinatos and beautiful, mesmerising sounds. Migrating from a simple drum to instruments.